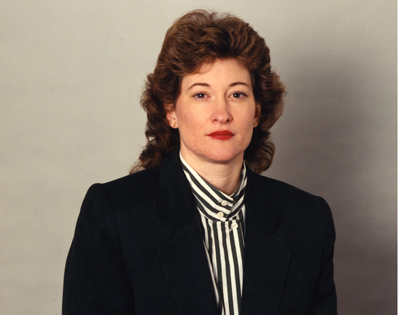 Patricia (Pat) Jane Duncan born 1960 in Alberta; elected 1996, 2000, 2002 in Porter Creek South; 1996–1999, 2002–2005 Third Party Leader; 1999–2000 Opposition Leader; appointed 2000–2002 Premier, Cabinet Minister; Liberal. First woman appointed Premier in Yukon. October 30, 2000 – Pat Duncan provides an update on the status of the transfer of the federal Northern Affairs program to the Government of Yukon.